Welcome to Tarleton Tip Thursdays, where every week the Texas Social Media Research Institute helps you harness the power of social media. This week we'll discuss how to purposefully choose social media platforms. Do you ever feel intimidated by the amount of social media platforms that are available? The same feeling struck me during a recent cycling lesson. As I pedaled along a 15-20 mile ride, my coach shared dozens of dos and donts with me. Soon I felt like I was on a course that was "littered" with helpful tips. Learning to maneuver through the world of social media can have the same effect. First, decide why you want to use social media. Is it to keep in touch with friends and family? If so, then select the platform your friends use the most. In many cases, this will be Facebook.To learn more about the Facebook Timeline feature, read the TSMRI blog “Facebook Timeline: What It Means To The Average User”. Don't forget that Facebook isn’t the only networking tool available. Google Plus is becoming more and more prevalent, especially in social media and technical circles. If you’re not familiar with Google Plus, I would recommend checking it out here. 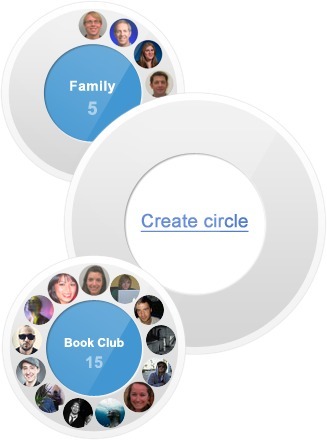 Google+ Circles Image via their website. · Do I promote my professional/business presence across all social media platforms? · Which platform will best reach my target audience i.e. potential employers, clients, etc.? · Do I create original content for each platform or can I use the same content on all platforms? · How do I develop my content? For help with answering these questions, I recommend the book “The Social Media Bible: Tactics, Tools, and Strategies for Business Success” by Lon Safko. This book provides background information on the basics of social media, explains the different types of platforms and how each one can be used depending on your need. Much of how you use social media depends upon your needs: social, professional, or both. However, after you’ve taken some time to educate yourself, you'll develop a strategy. In cycling, it takes a consistent cadence to go the distance and reach the summit of the hill. Conquering social media can be much the same way. Deana Coan is a Communications major and a Social Media Committee intern with the Texas Social Media Research Institute at Tarleton State University.